La Poste unveiled the logistics system in place in Thionville through an exhibition of zero-carbon vehicles. By making use of low emission vehicles, La Poste is listening to the concerns of Thionville town centre, and taking action that will result in sustainable deliveries for a town that is more attractive, more practical, and a better place in which to live. The system was unveiled at an event on 27 June, attended by Sébastien Balduzzi, the man responsible for rolling out Le Groupe La Poste’s urban logistics programme, and Pierre Cuny, the town’s mayor. 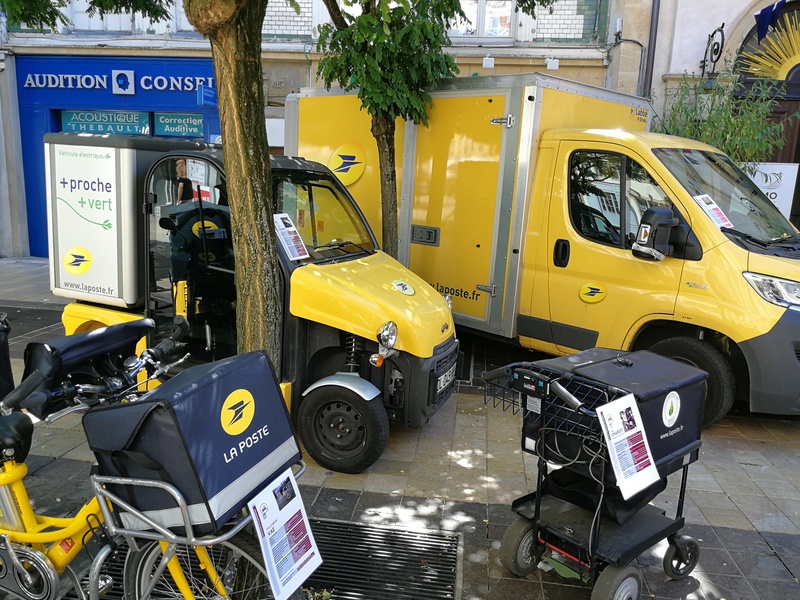 At the time of writing, La Poste is using six electric cars (Kangoo ZE), an NGV (natural gas vehicle), and eight electric bikes to complete its post and parcel rounds, collections, and business deliveries within a predefined area of Thionville town centre. Five walking rounds are also part of the initiative. In the second half of 2016, four NGVs will be added to the fleet (one for Chronopost, one for the DPD subsidiary, and two for La Poste). By replacing diesel vehicles and investing in a fleet of low emission vehicles, between 2016 and 2018 we have already reduced greenhouse gas (GHG) emissions by 31%, particulate matter (PM) by 95%, and nitrogen oxide (NOx) by 80%.